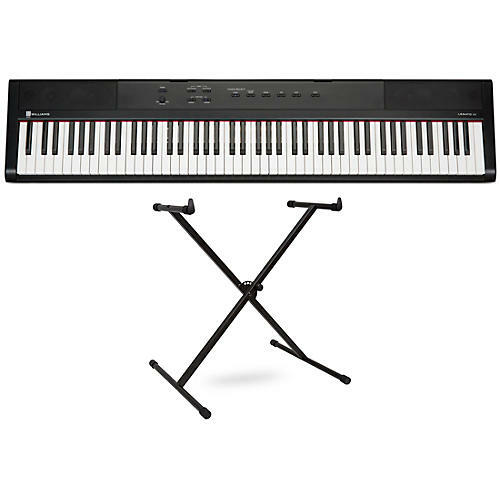 This introductory piano bundle gives you the Williams Legato III paired with a ProLine PL100 Keyboard Stand for a ready to play package. The Williams Legato III is a full-size digital piano with 88 touch-sensitive keys, Bluetooth MIDI capabilities, iOS app and built-in speakers. More than just a great-sounding instrument for playing, practicing and performing, the Legato III includes sounds from the incredible Williams Custom Sound Library featuring a collection of impressive piano and vintage keyboards.